What a treat from EW! 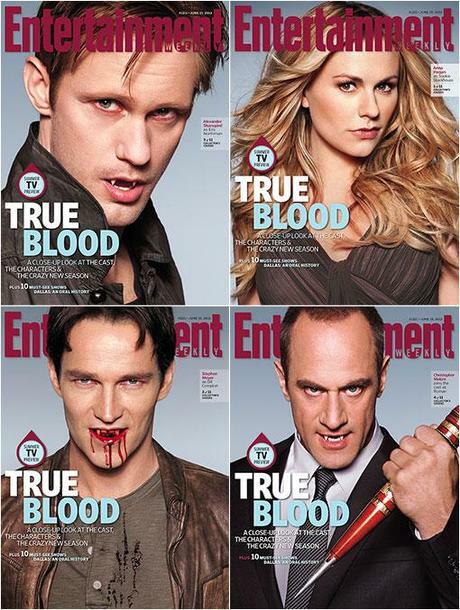 Not 1 but 11 True Blood covers on their latest issue on stands Friday, June 8. You can collect all issues at once directly from the EW website here. In this issue Alan Ball explains were he found the inspiration for season 5. But that’s not all, take a look at these season 5 stills of things to come.